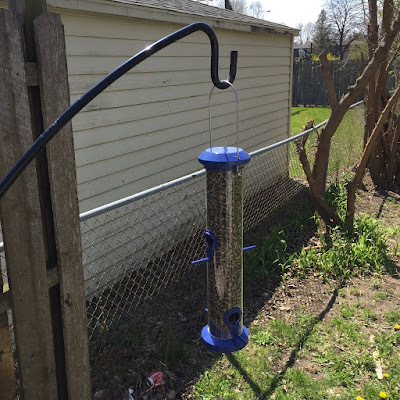 Karmada Arts: Social Media Monday: What Have I Been Up To? Social Media Monday: What Have I Been Up To? Meanwhile while the world is continuing it's bout of terrible and awesome (I mean, really I am starting to side eye 2016 in general...), but guess what I remembered to type something here! Honestly, I'm very terrible at the internet (as you all know) so I'm slowly but surely working on, well, getting myself out there! Chatting on things! Posting stuff! I'm so painfully shy, I'll apologize ahead of time. Anime Park is getting close - it's on May 7th this year - and it'll be one of the few shows I'm vending at this year while I re-calibrate the booth. 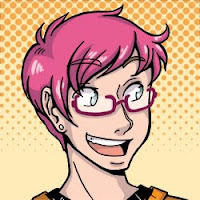 I'm re-calibrating because I'm actually working on a new webcomic set to debut prooooobably in August (my June-July is looking kind of hectic so far), which is also why I've been kind of busy and quiet. That and along with the Big Project I Can't Tell You About Yet (But I Will Tell You When I Am Allowed To). At Anime Park, I'll have my usual array of prints, but everything's gonna be ON SALE! I hope to have some little original doodles for purchase (inexpensive too!). I'm changing a lot of my products so once a print is done, it's GONE! But I wanna make sure they go to good homes, so FIRE SALE IT IS! :) Come by and say hi if you're in the area. After Anime Park, is Anime Central (my usual trip! ), where I'll be there just floating around. I'm hoping to squeak out a nice outfit for Dave and I to wear to the Masquerade Ball they have on Friday, and of course we'll be in armor on Saturday. I think little birds are ADORABLE and I hope I'll get to draw some of them once they start partaking of it's small, but yummy, bounty! 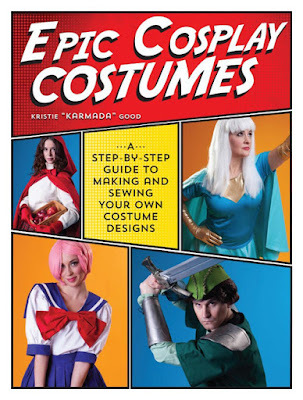 Want to get your own copy of Epic Cosplay Costumes? You can order one today!